I love Panera’s Summer Corn Chowder soup. 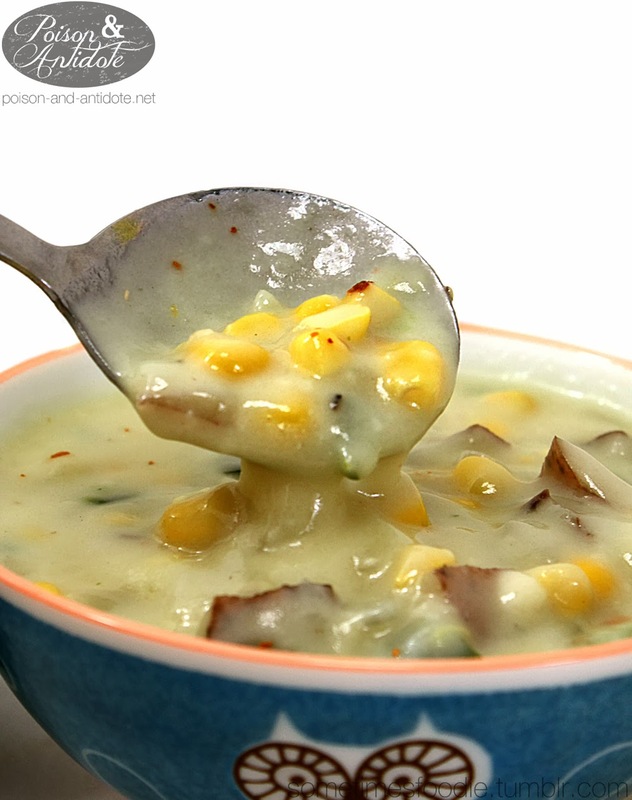 When I worked there, I could easily feed my corn chowder cravings. Now a days my career has evolved and I moved on to teaching, so I have been looking for a recipe to make my own supply, and I may have finally found one! 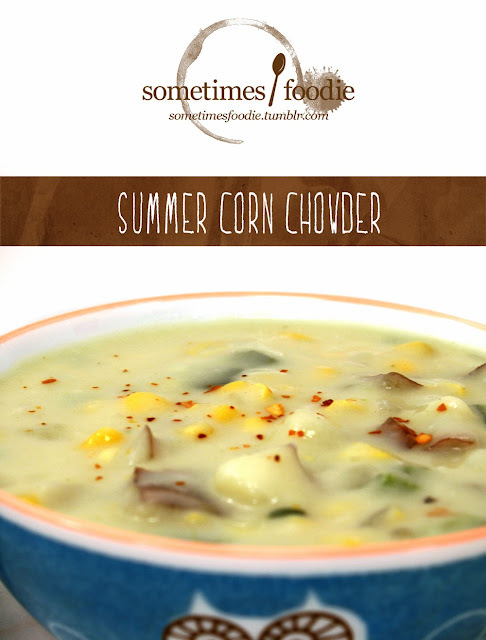 It isn’t 100% perfect, but this is REALLY close to Panera’s seasonal soup! Instead of bell peppers I used poblano Working at Panera I know each soup’s description, and the real soup uses pablano peppers. NOT bell. They are sweet and mild with a little hint of spice. I added red pepper flake. 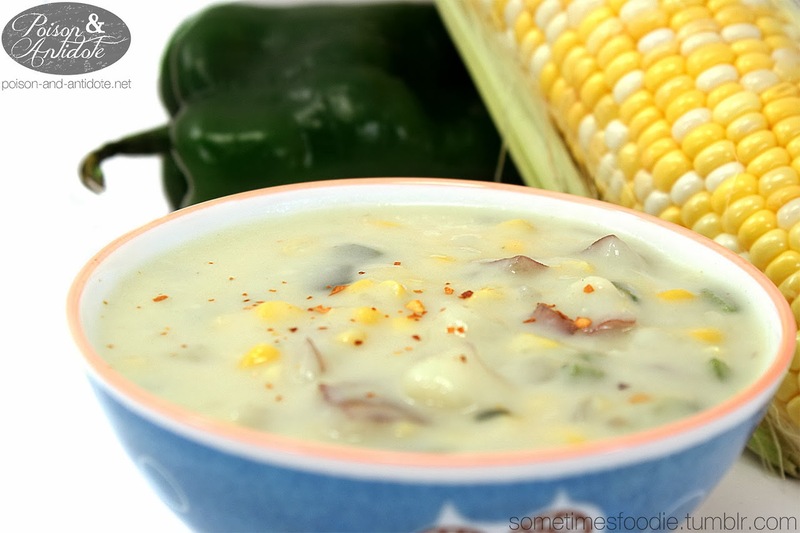 My poblanos were especially mild, so I added red pepper flake to get that tiny bit of heat that is in the real soup. The finished soup was still really thin, even after cooking down, so I made some béchamel sauce to thicken it up. Afterwards it was almost spot-on the consistency of Panera breads. This recipe is an absolute keeper. (It is the closest I have come to recreating Panera’s version at home.) I have been eating it all day and I already plan on making more.